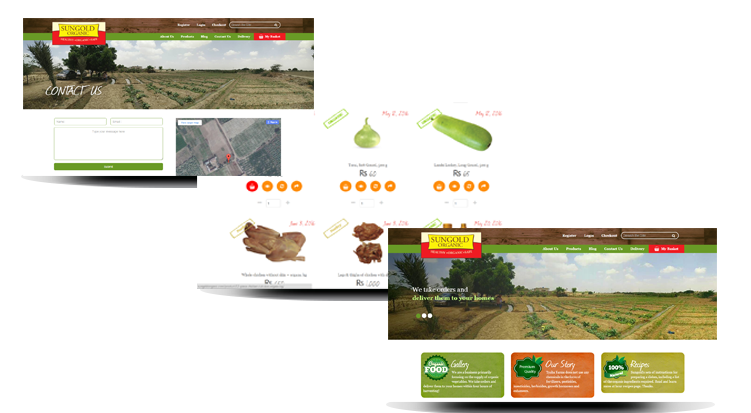 Sungold Organic Vegetable come from a six acre farm, located in the Qasim Town Limits, mid way between the National and Super Highway (Malir District). Inspurate has designed and developed an e-commerce platform using robust open-source technology. The portal allows customers to order directly from the site, while allowing business owners to easily track and manage orders, inventory, and customer communications.